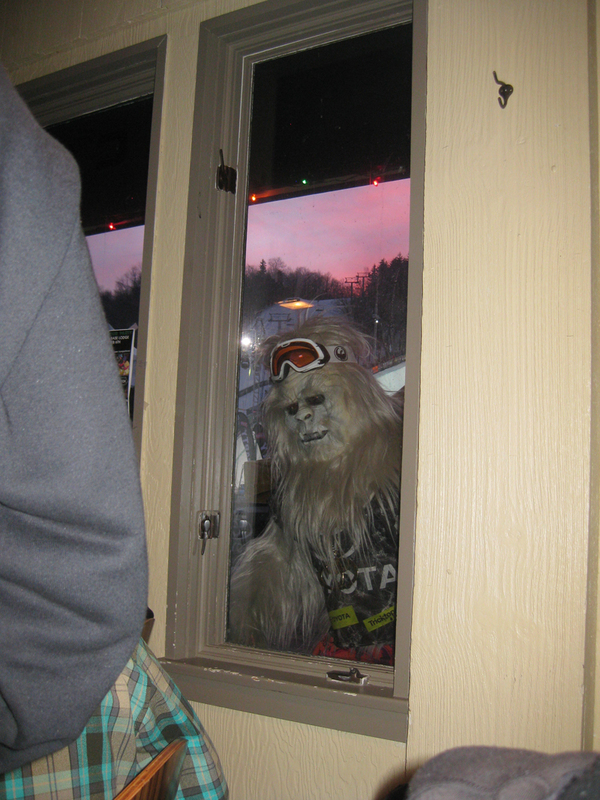 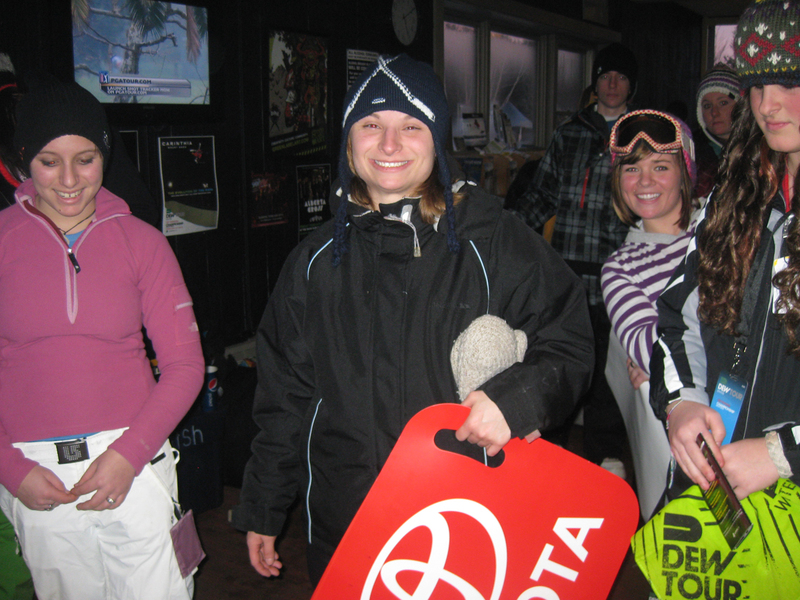 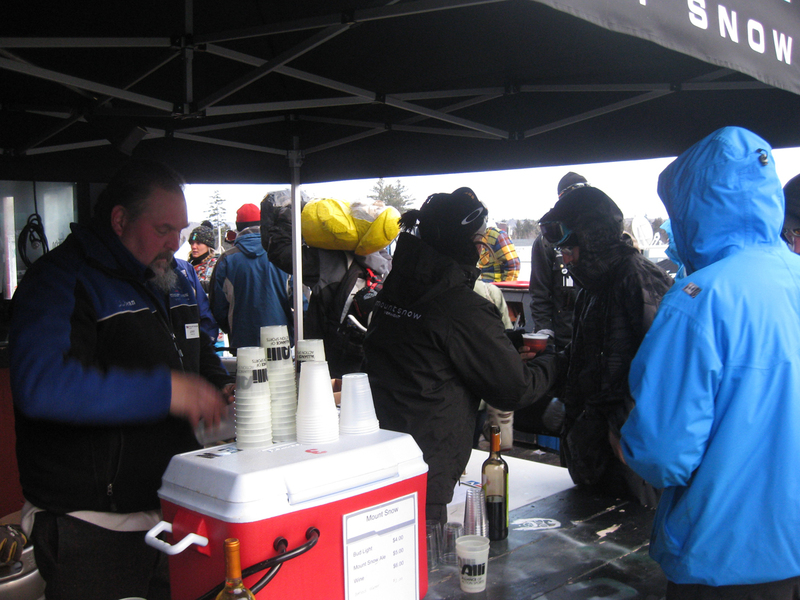 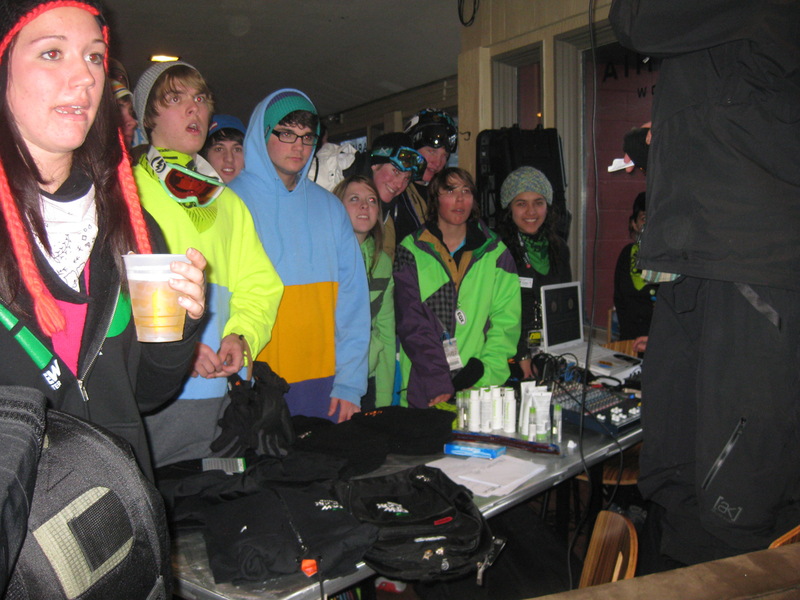 Winter Dew Tour Happy Hour Was A Huge Hit! 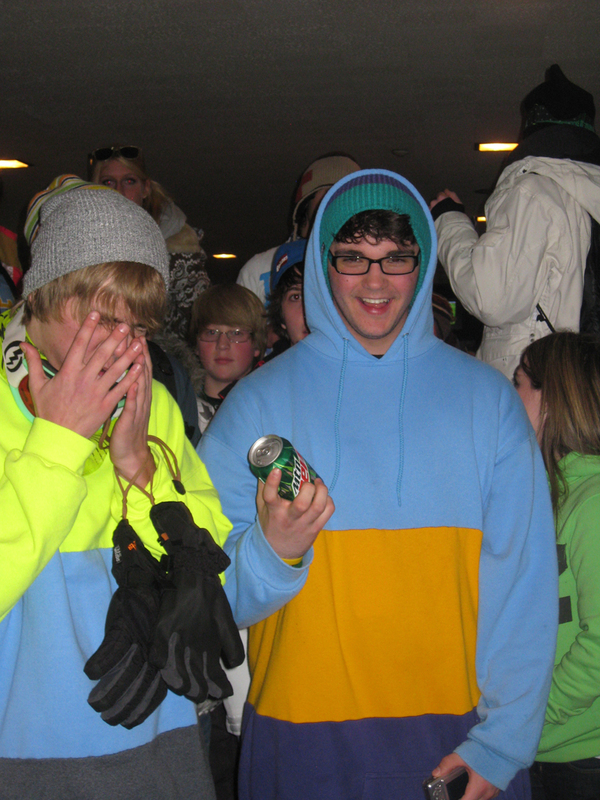 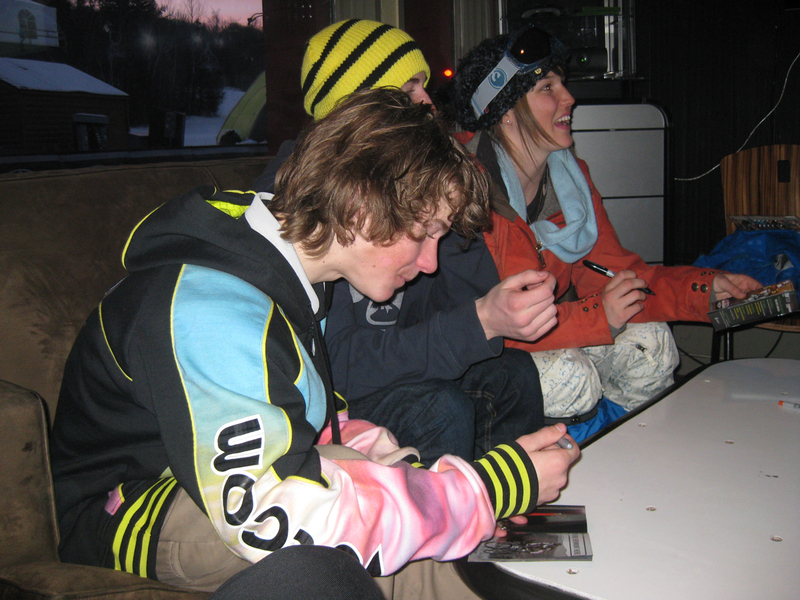 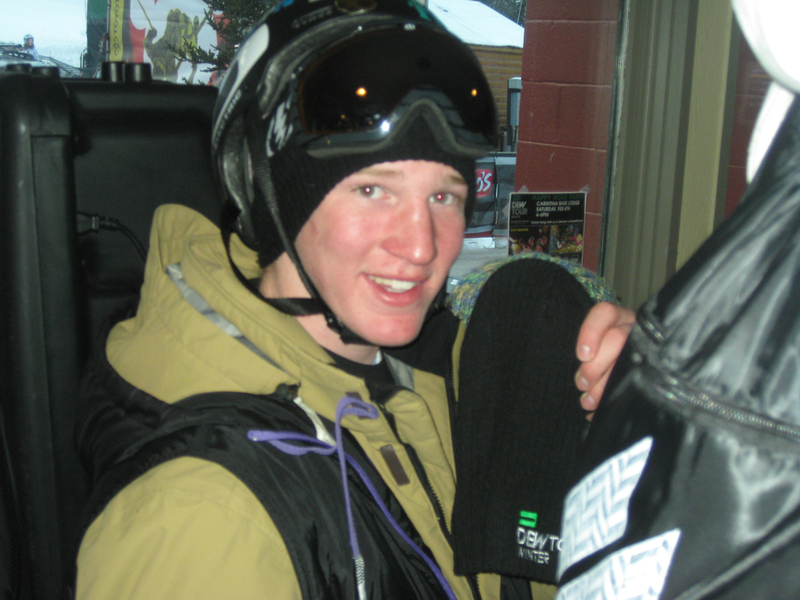 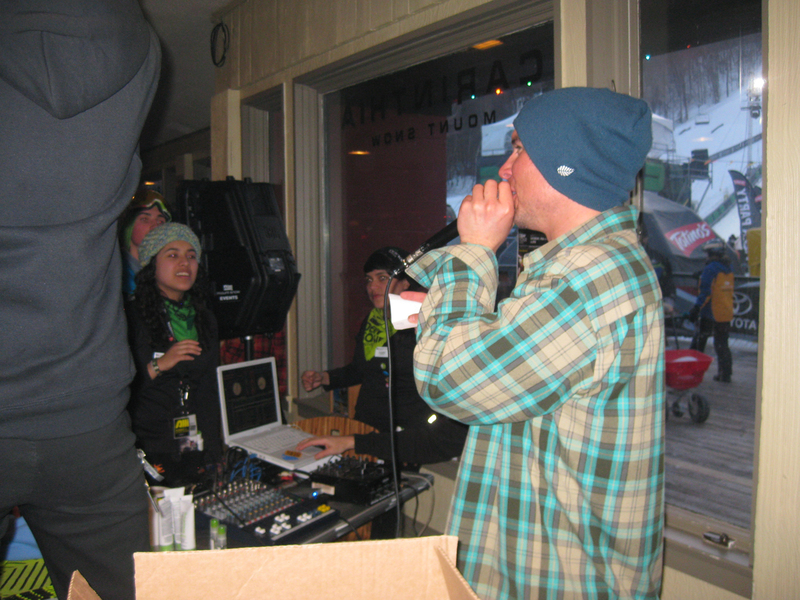 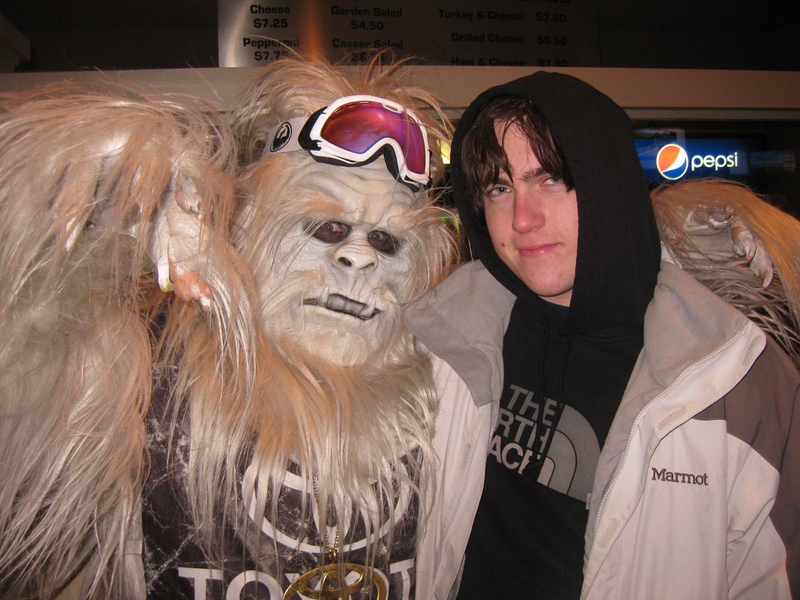 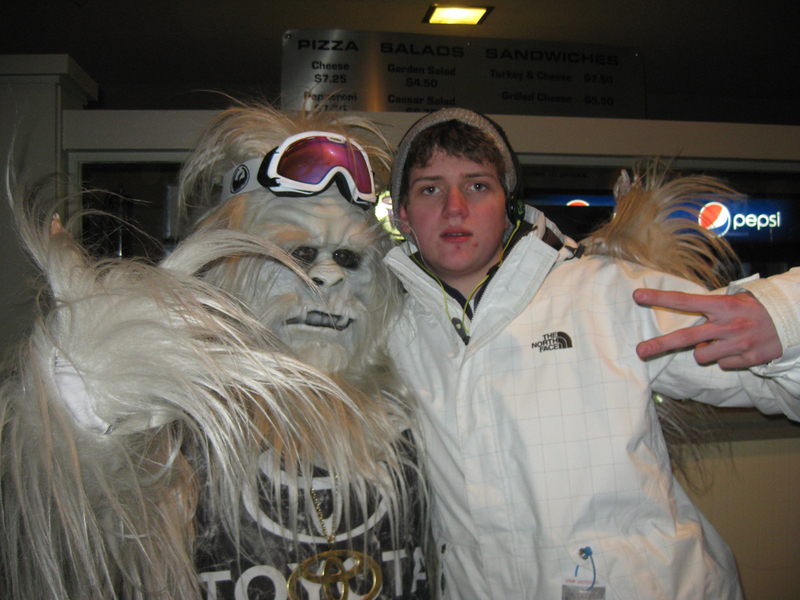 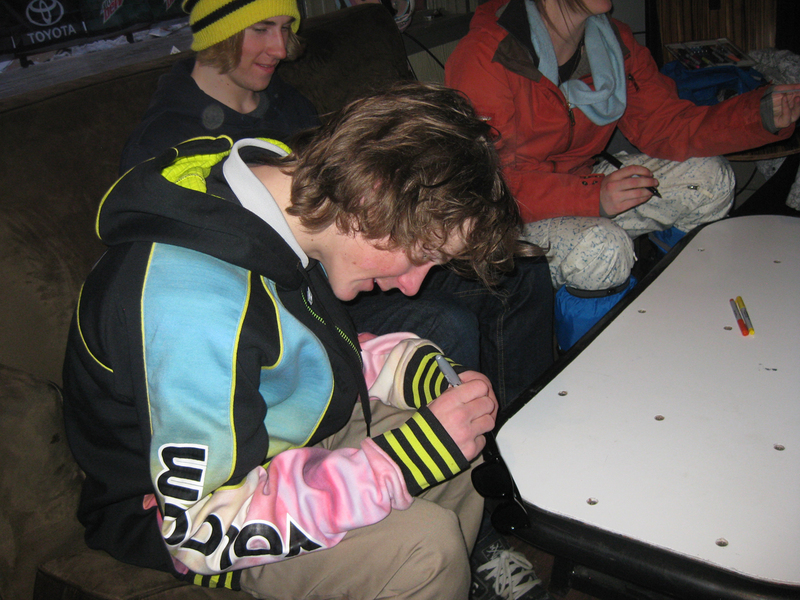 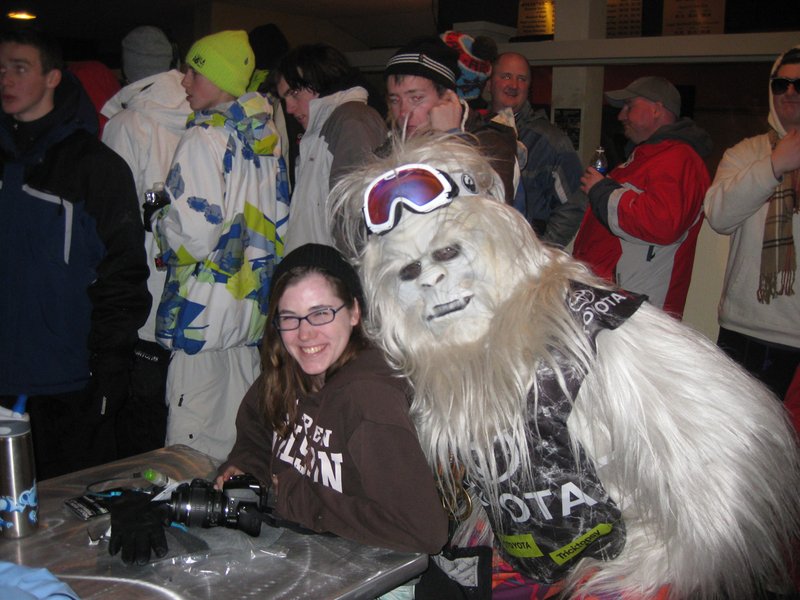 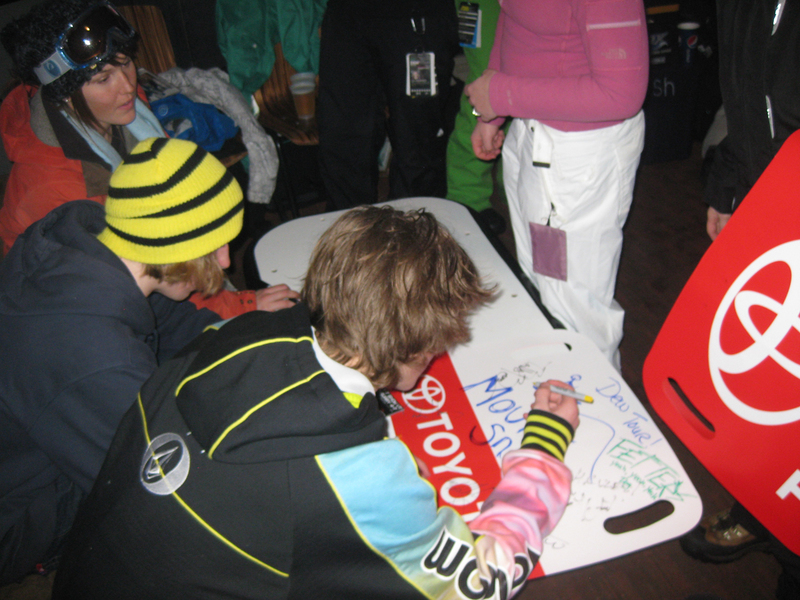 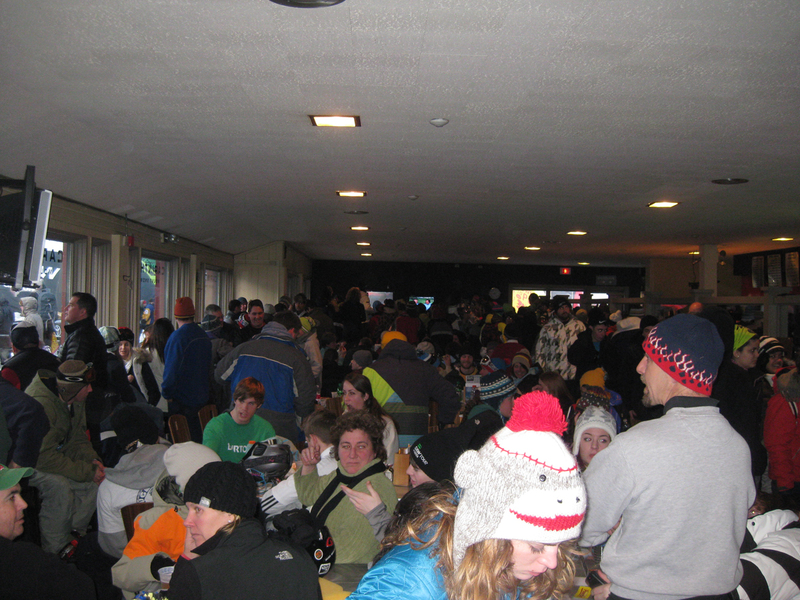 By: Lisa Fruggiero – The Winter Dew Tour Happy Hour went off this weekend at Mount Snow on Saturday, Feb 6. 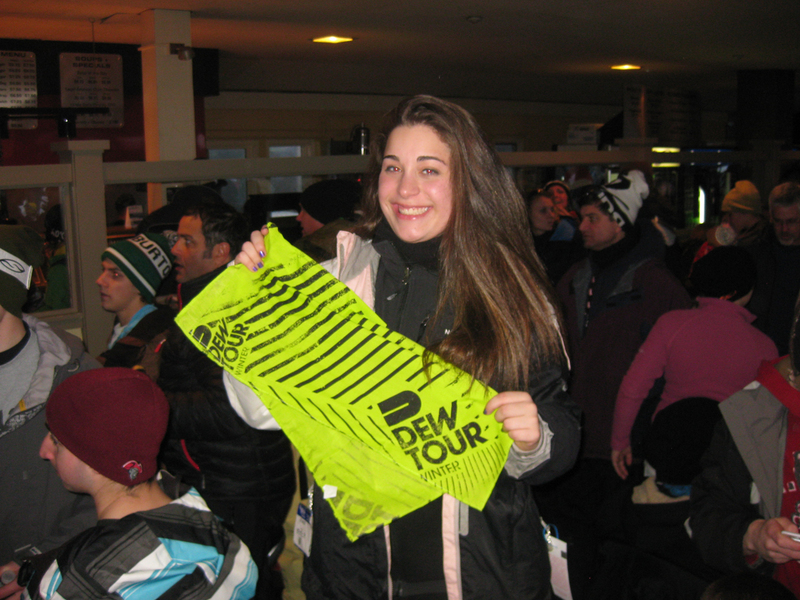 Smiles were ear to ear as most everyone walked away from the event with some Winter Dew Tour goodies including fresh Nike 6.0 beanies, Paul Mitchell hair products and Winter Dew Tour bandanas. 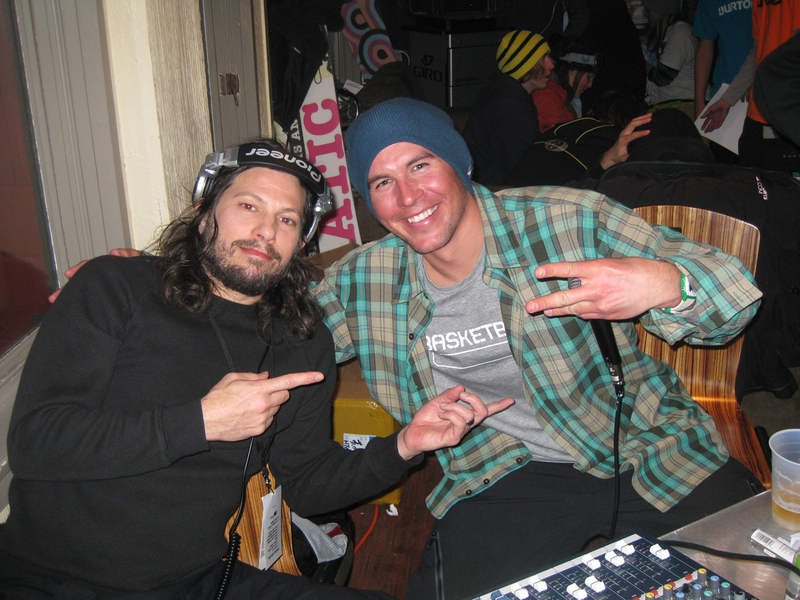 DJ Tommy Mot keep the tunes jamming and the crowd pumping, the bar outside keep the drinks flowing and DJ DC hosted the party with the help from the lovely Alli ladies and Deb from the Lodge. 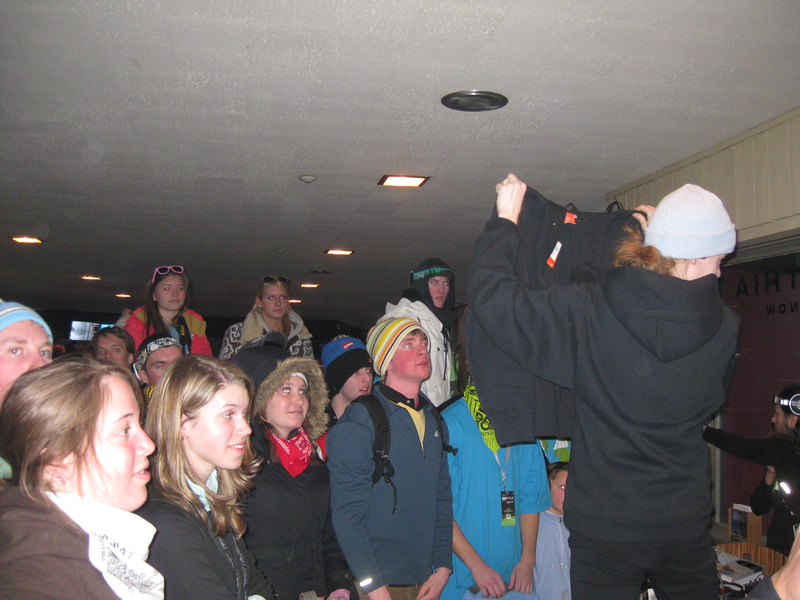 Special Appearances were made by top Winter Dew Tour Athletes Tyler Flanagan, this years Snowboard Slopestyle Dew Cup Champion, Sage Kotsenburg and last years Women Snowboard Slopestyle Dew Cup Champion, Spencer O’Brien. 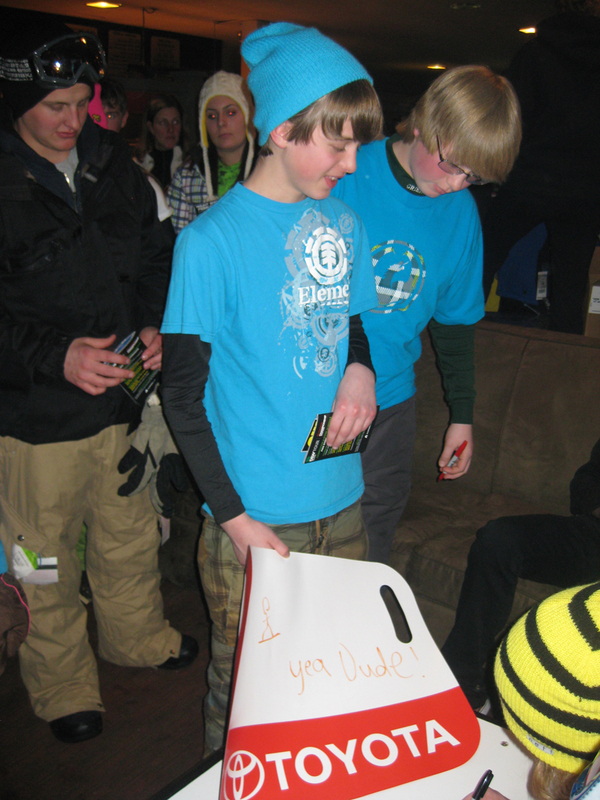 Tyler, Sage and Spencer signed autographs, chilled with their biggest fans and even judged the “Stanky Leg” dance contest (full video below). 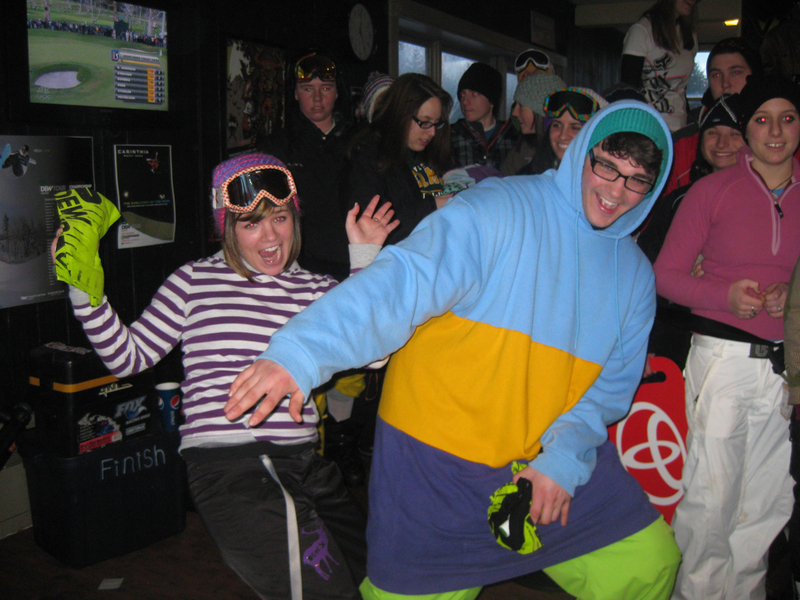 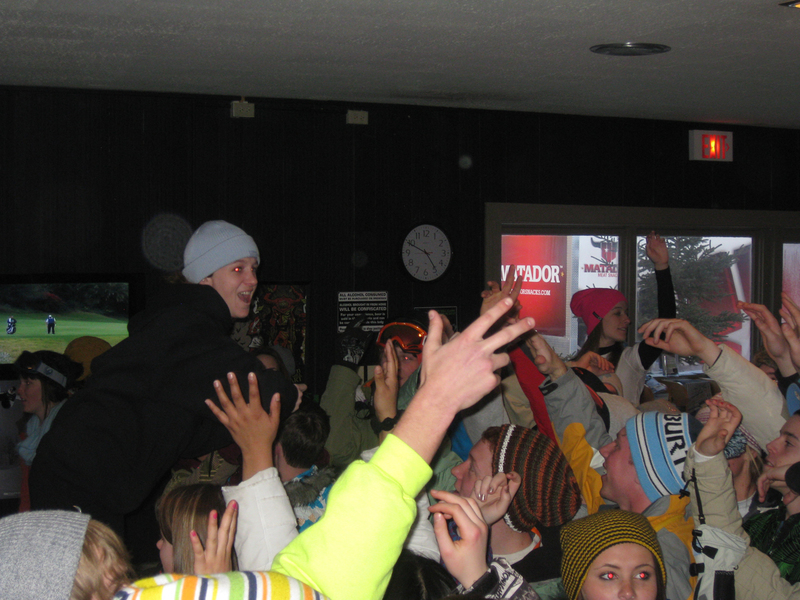 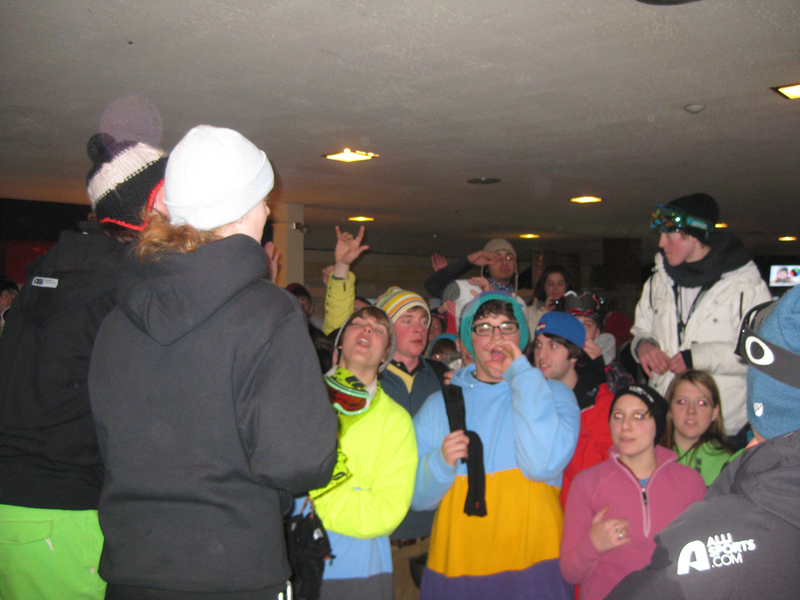 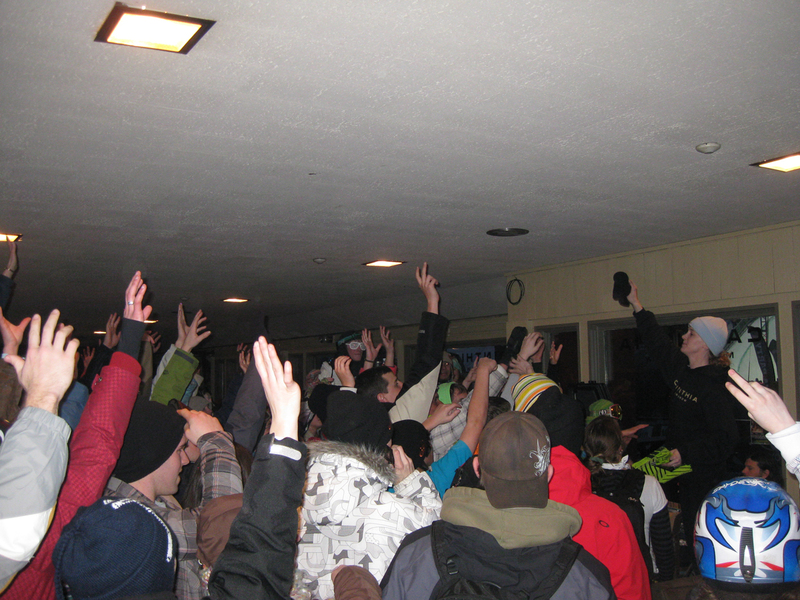 The Carinthia Base Lodge was transformed into one big house party where fans competed for prizes through trivia questions, dance competitions and special talents. 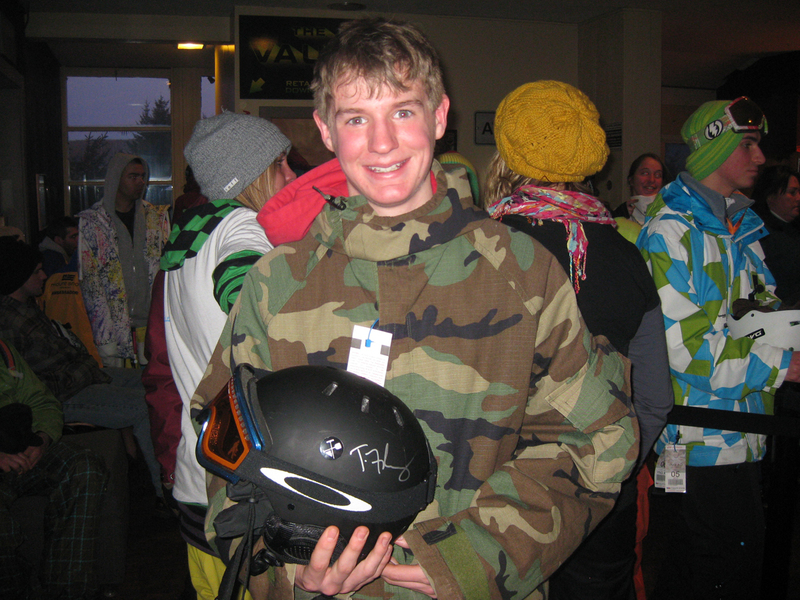 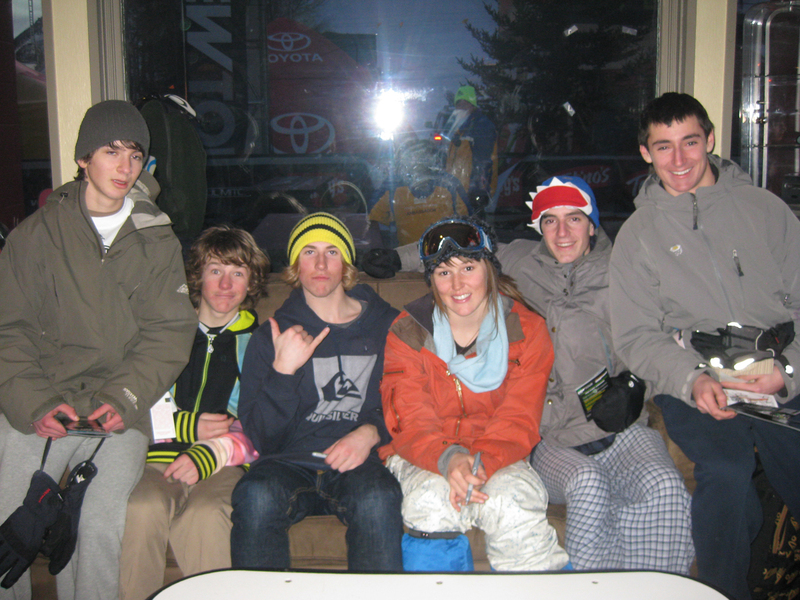 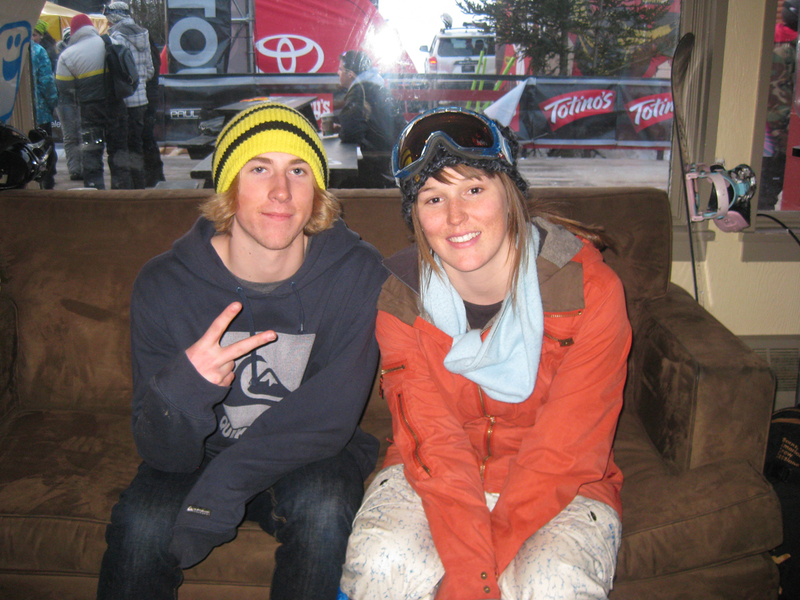 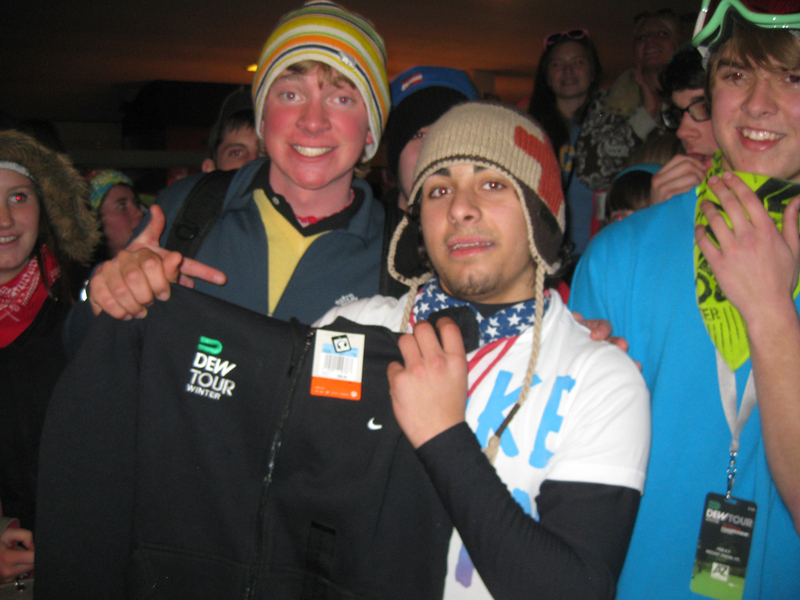 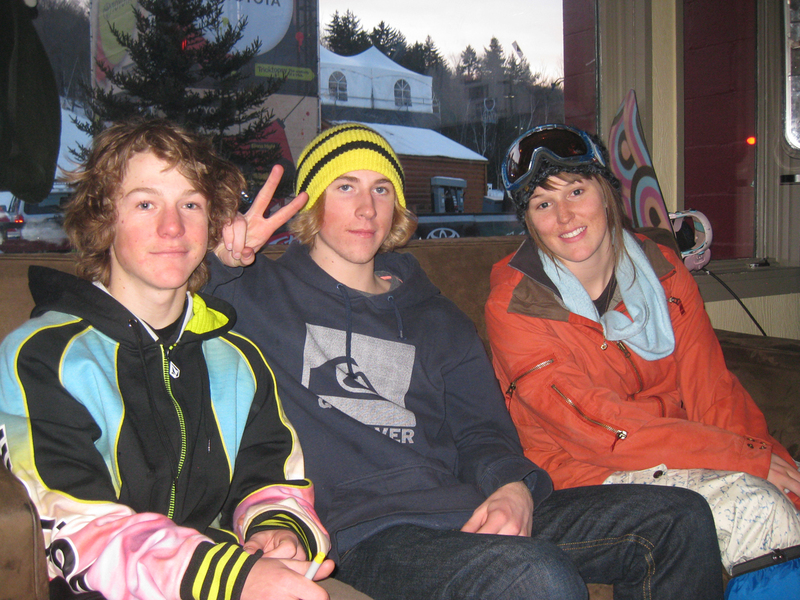 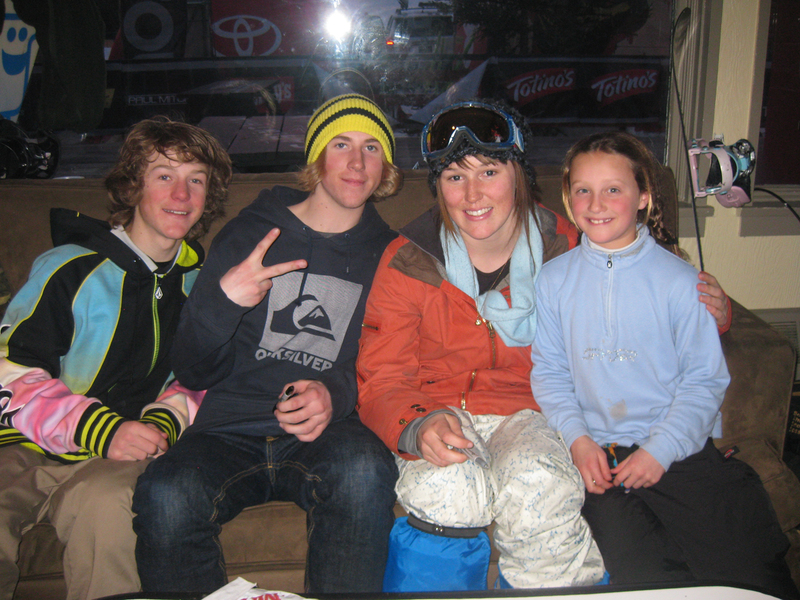 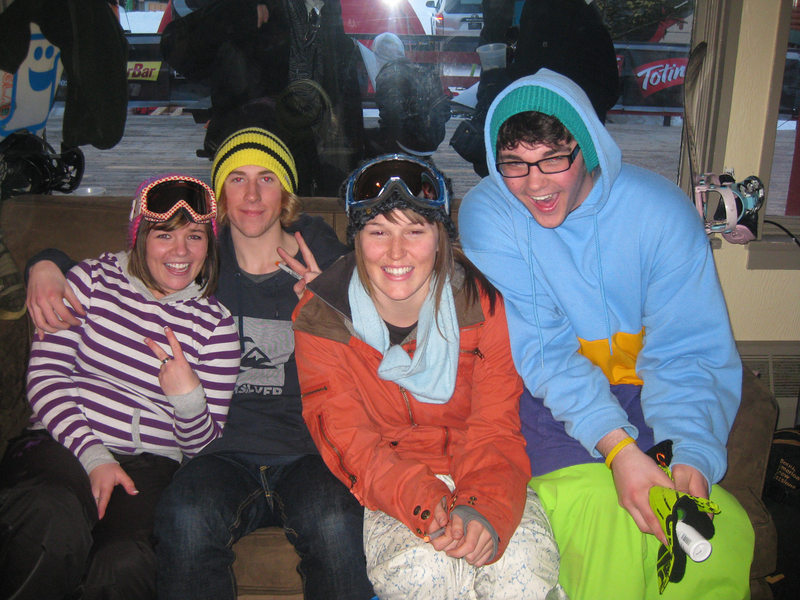 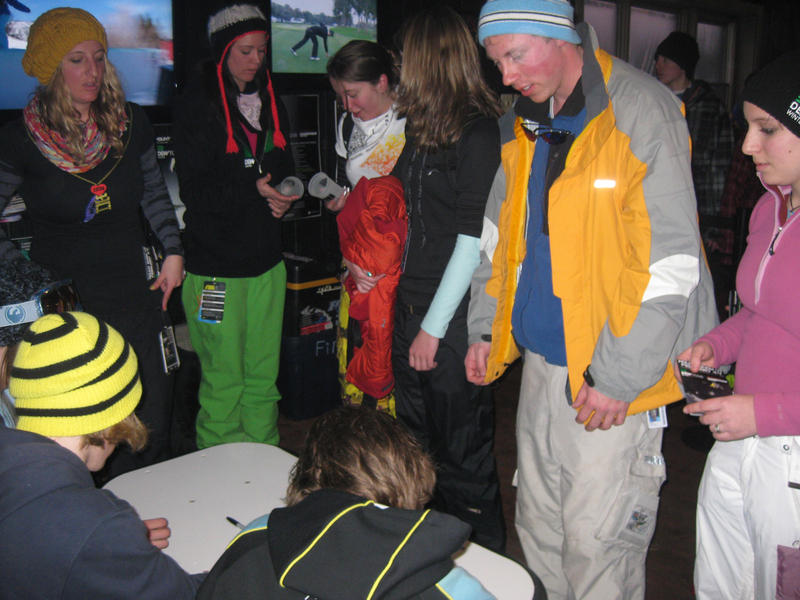 Plus they got the chance to meet some of the top snowboarders on the Dew Tour. 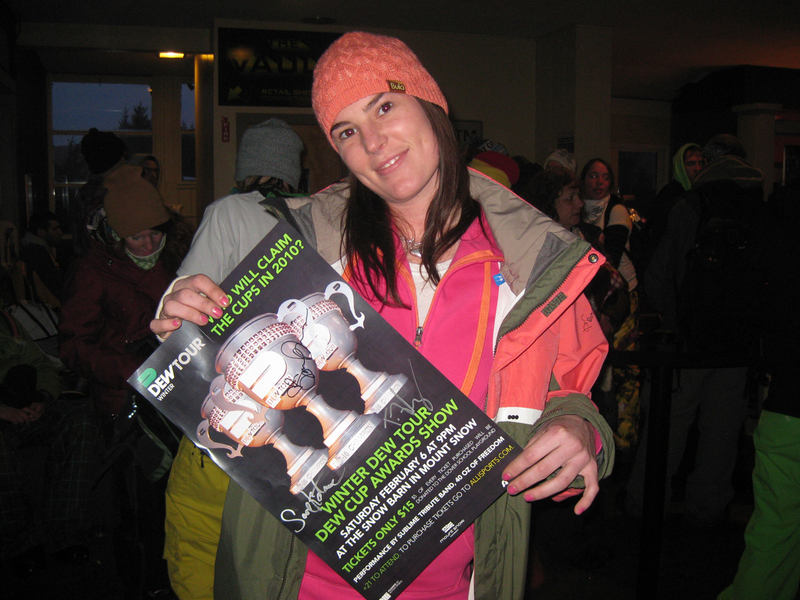 Soon it was time for everyone to bundled back up and head over to the Superpipe venue to grab a good spot to watch the Men and Women snowboard finals where JJ Thomas and Kaitlyn Farrington ended up claiming their first tour victories and the prestigious Dew Cup Championships! 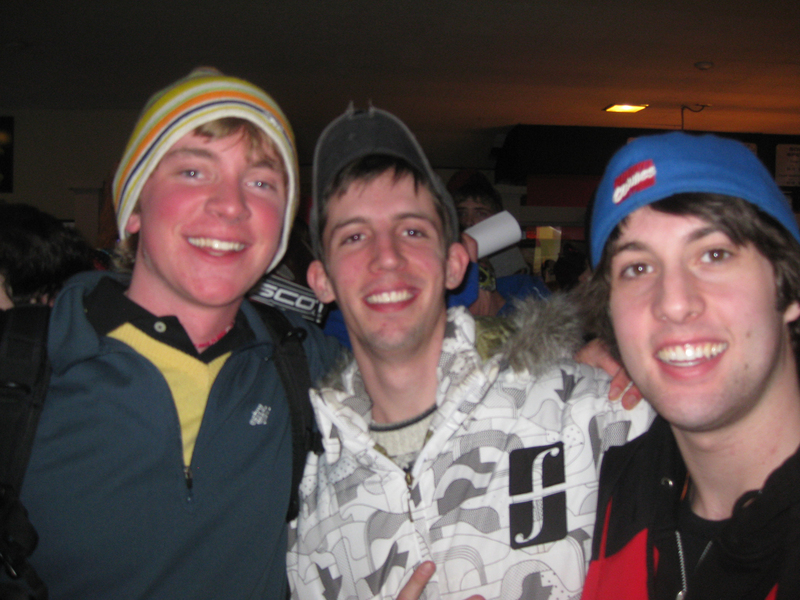 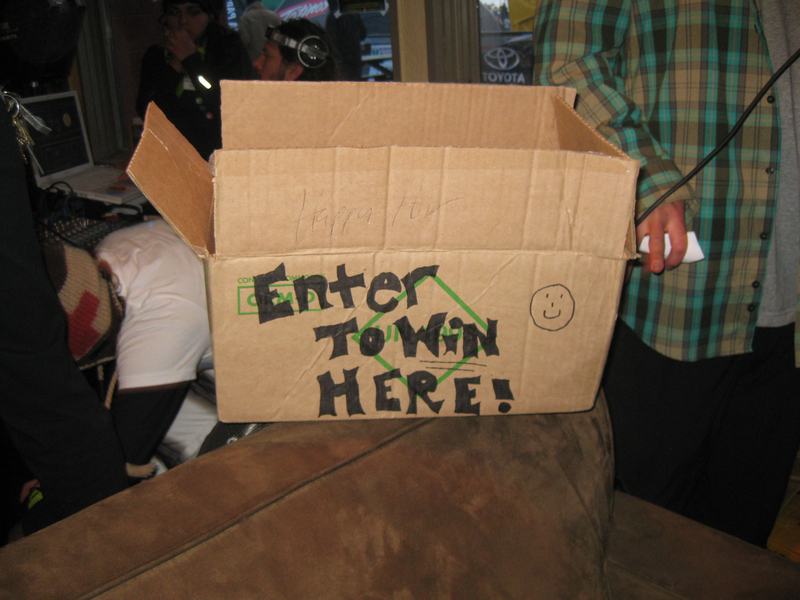 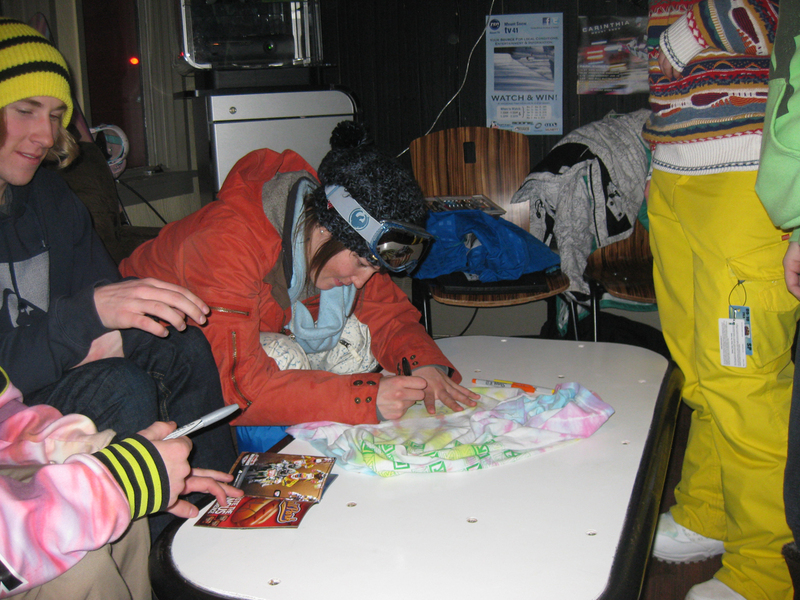 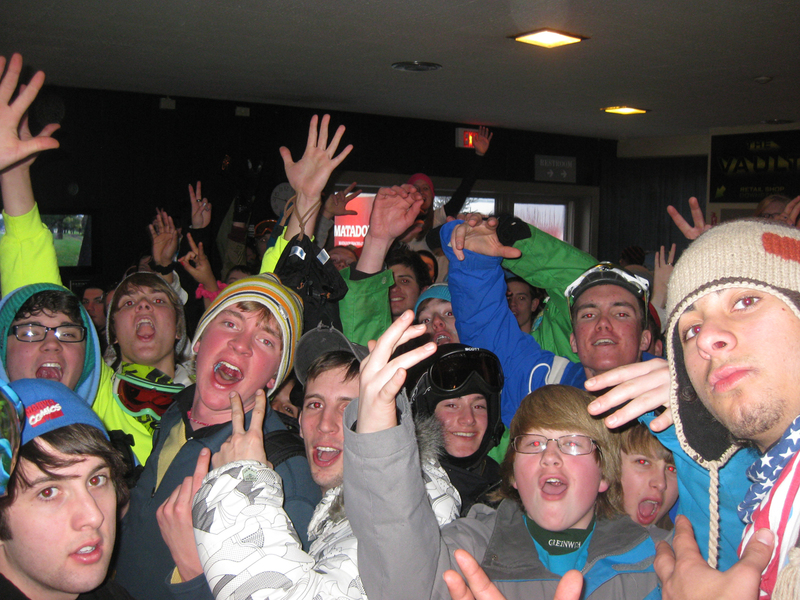 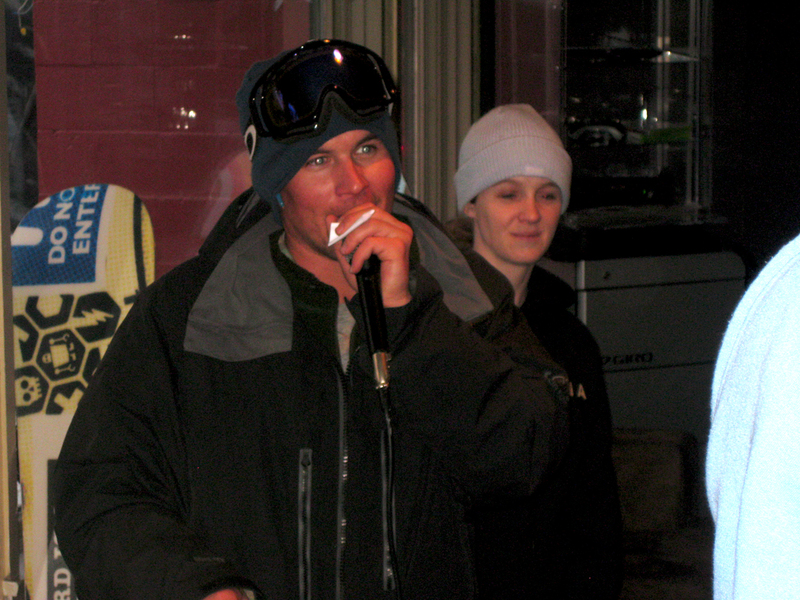 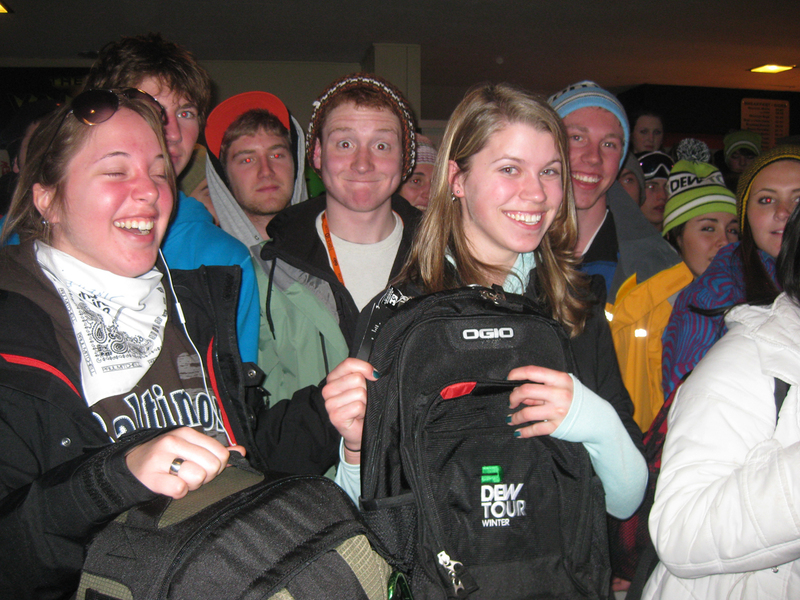 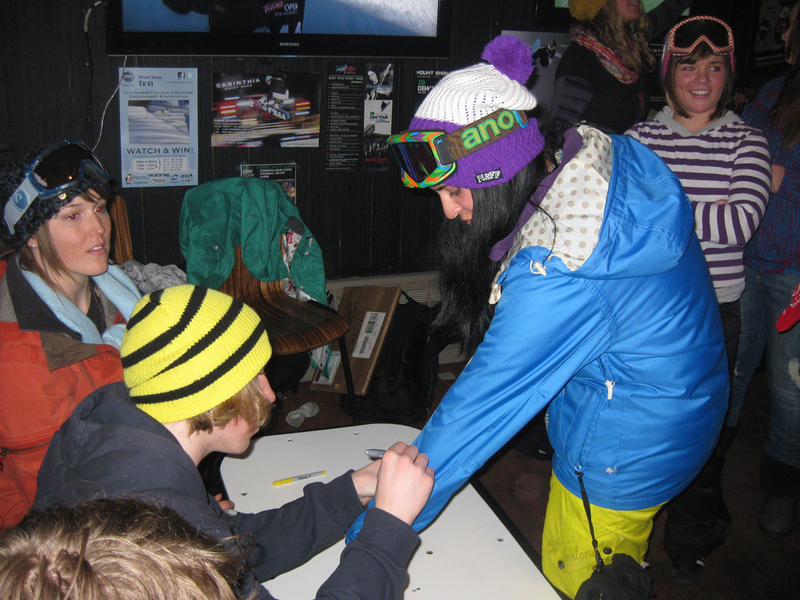 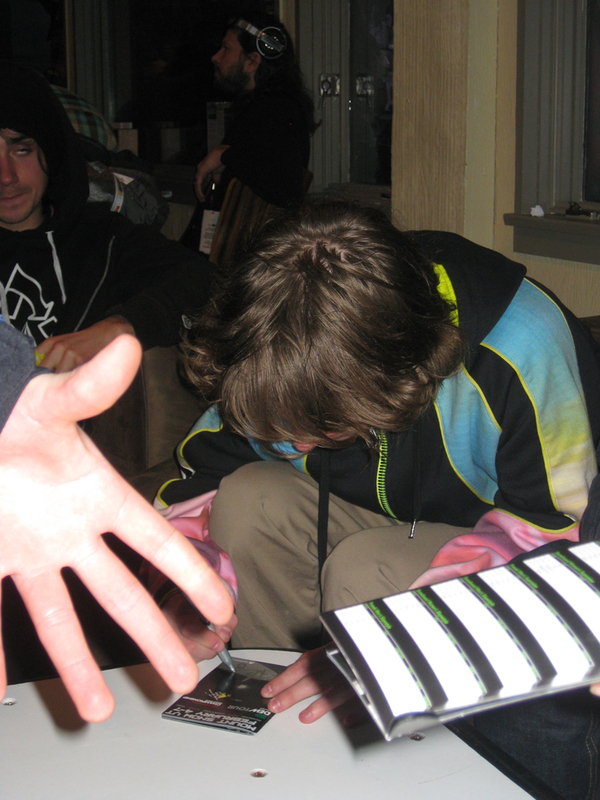 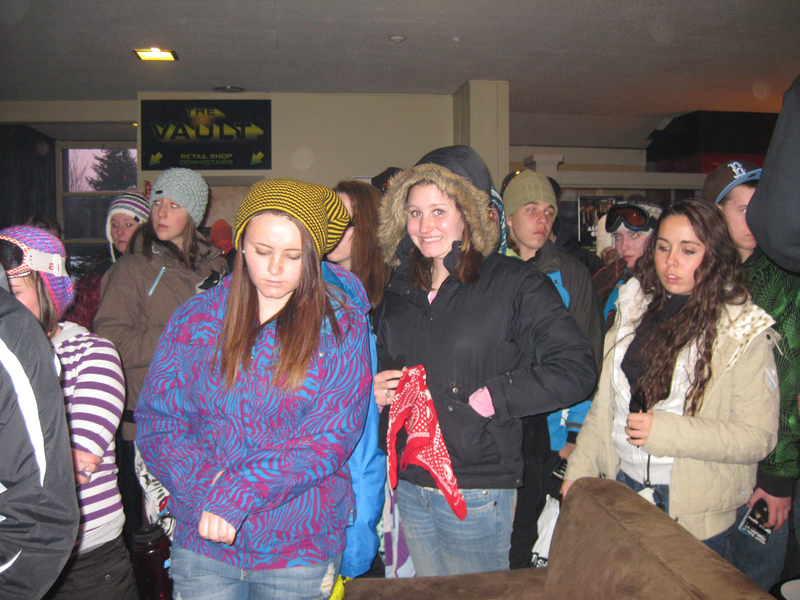 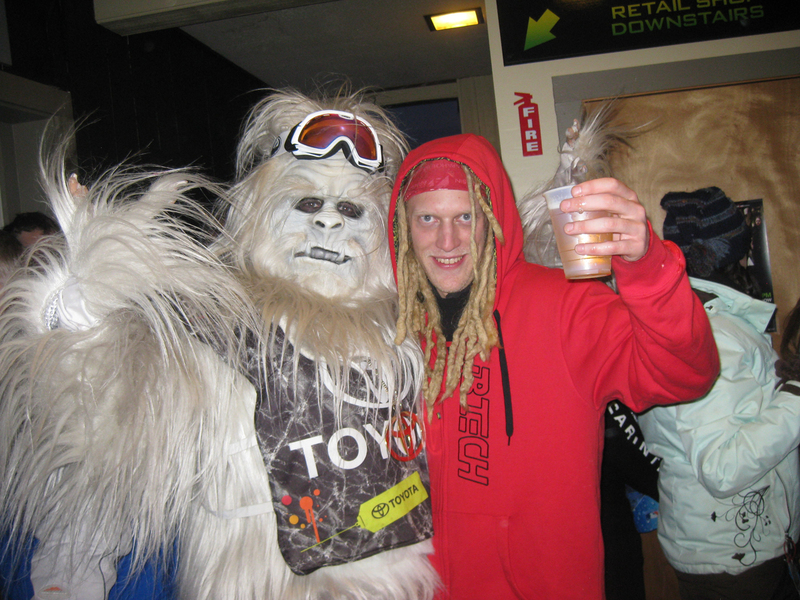 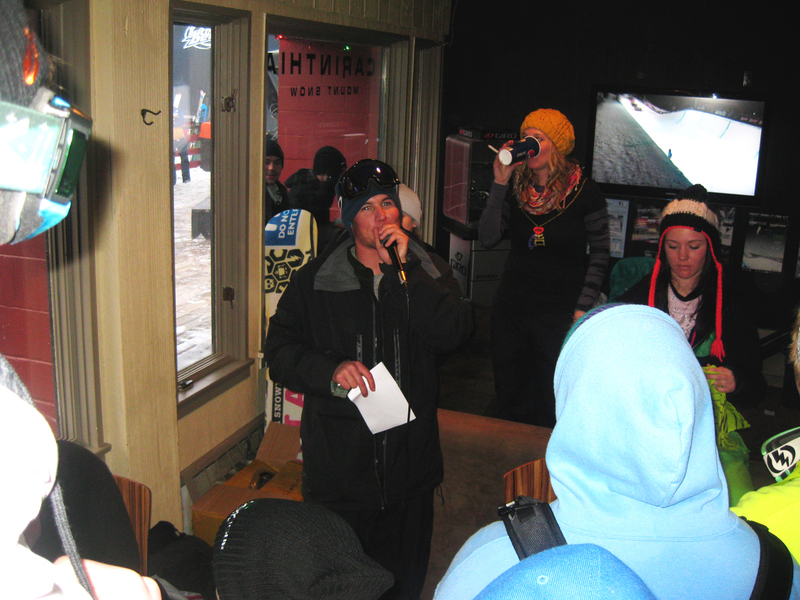 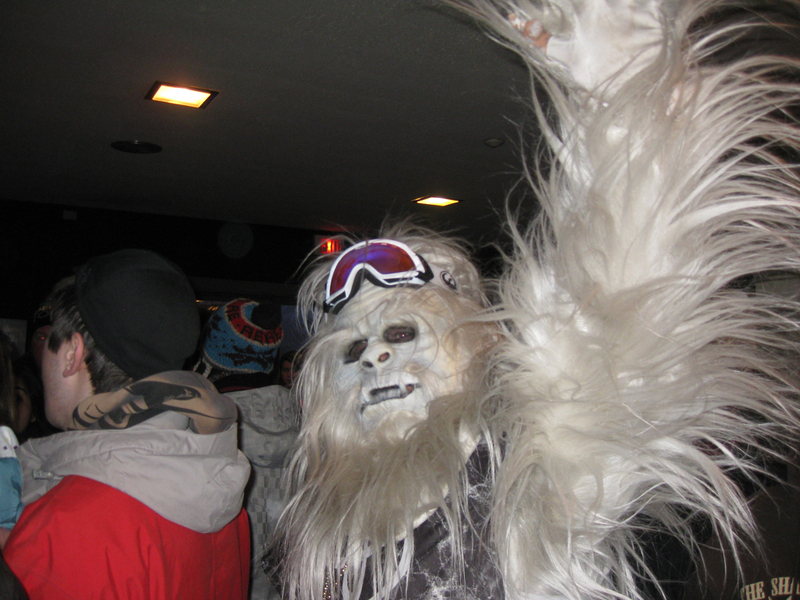 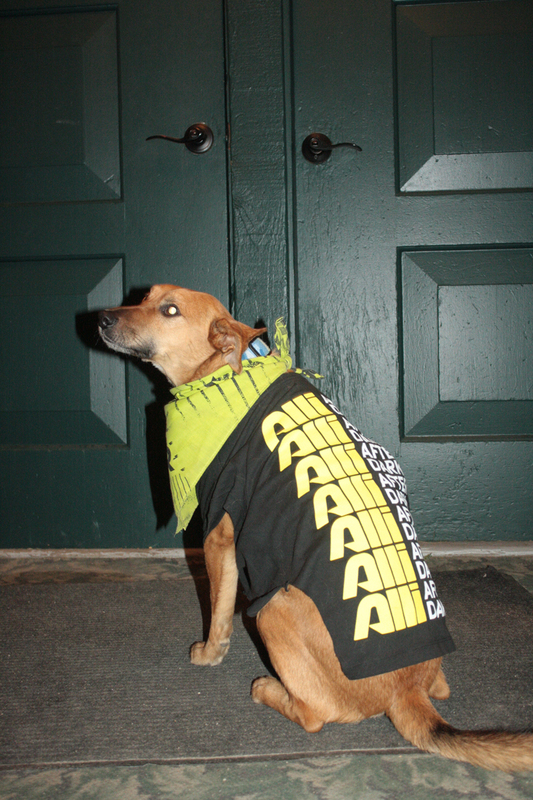 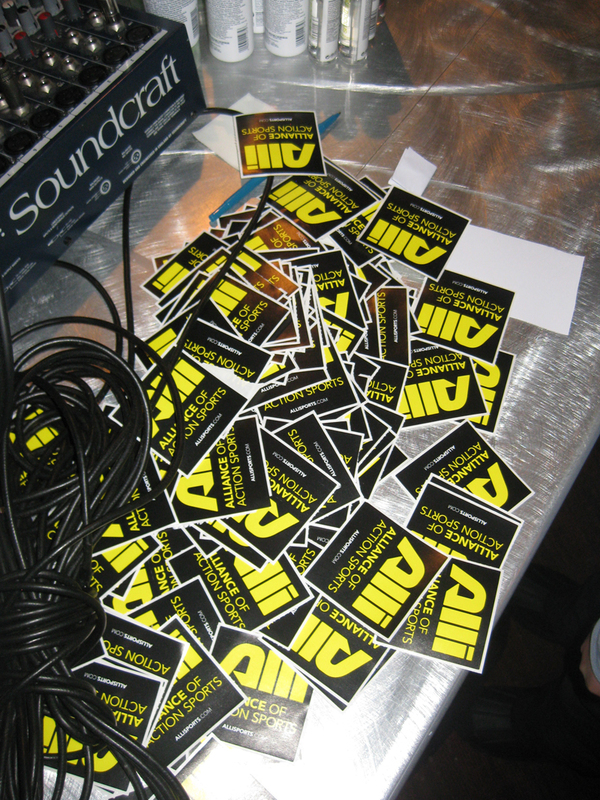 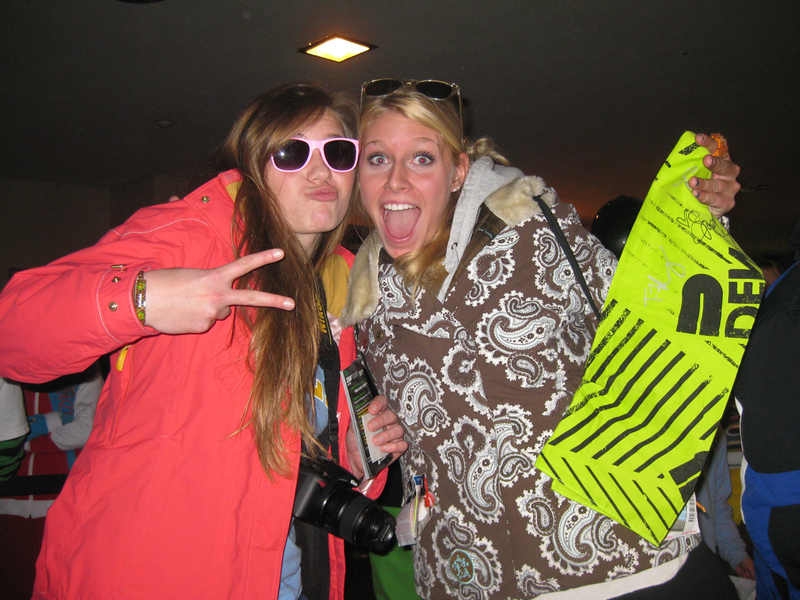 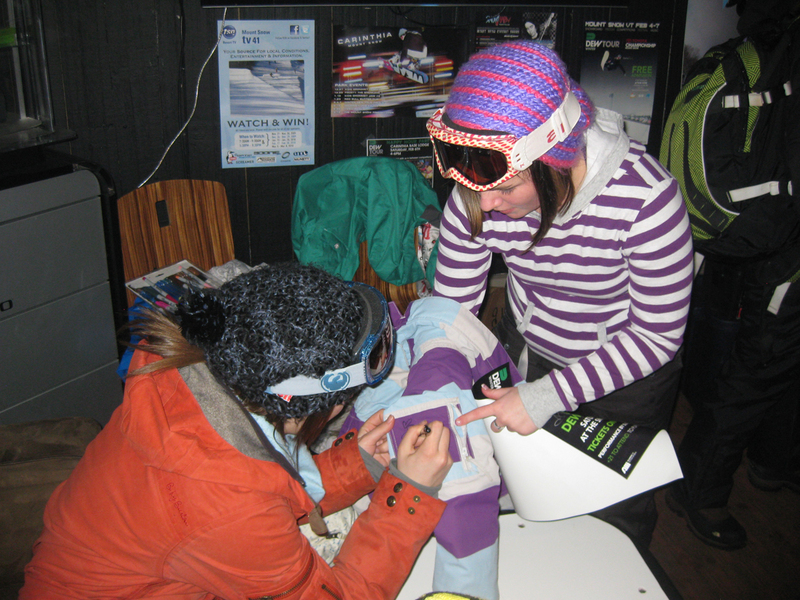 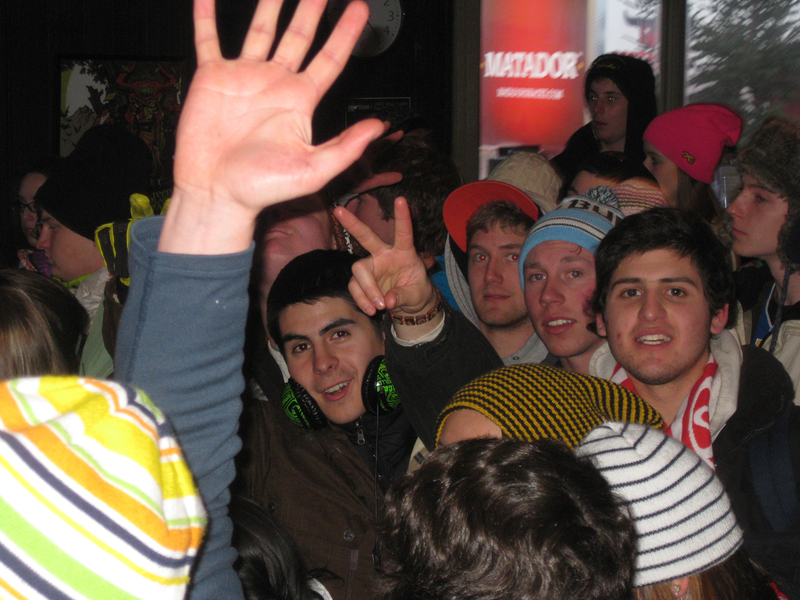 The Winter Dew Tour Happy Hour party was awesome and a great way to get hyped up for all the night's Superpipe action.